Adapted from the play by William Shakespeare. A ship at sea is suddenly swept up in a fierce tempest. The King of Naples, the Duke of Milan, and others become shipwrecked upon a mysterious island. Unbeknownst to them, the island is ruled by Prospero and Prospera, the rightful Duke and Duchess of Milan. With their magical powers they have cast the royals upon the island with an ultimate plan. But will Prospero and Prospera's scheme be cut short by their own prisoner/slave, Caliban, who along with the drunken butler, Stephano, have hatched a scheme of their own to take over the island? Will the tempest destroy everything or leave in its wake a lasting peace and harmony? This stunning theatrical version of the Shakespeare classic remains true to the original poetry and language but has been modified to make it more easily produced. The role of Prospera has been created to provide a strong leading female role and several additional girls' parts have been added as well. The fabric of Shakespeare's vision is designed with a wonderful cast of comic characters, and there's plenty of room for extras as sprites, reapers and nymphs. Performance time about 80 minutes. Q: WHAT INSPIRED YOU TO ADAPT THIS PLAY? 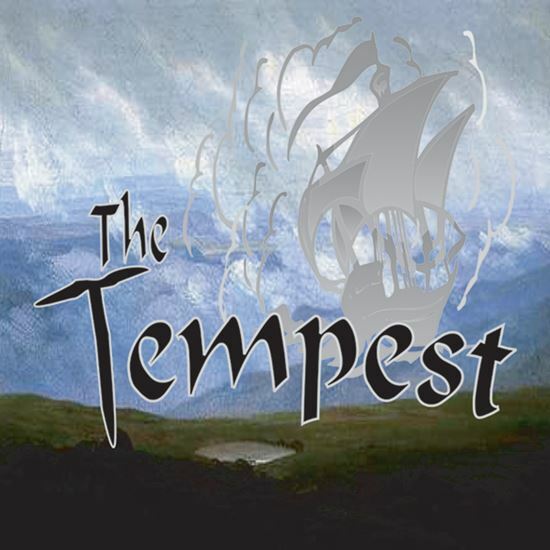 A: A director suggested that I choose "The Tempest" to adapt for that year's production. I was unfamiliar with the play and read it. At first, I hesitated. I reread a few other plays by Shakespeare. I was concerned with the lack of female characters and the sheer size of the Prospero role for a student to tackle. As I thought more about it, I realized the themes and characters were so powerful that they would have a unique appeal for young people. Then ways to work with the play began to appear, and soon enough, it all came together. It is a magical play! Q: WHICH CHARACTER DO YOU LIKE THE BEST? A: Prospero/Prospera. Prospero is very mysterious and not always a nice guy. I can't help but identify Shakespeare with this character: a figure whose art is so powerful, it can raise a storm - a storm that has lasted 400 years. Q: WHAT DID YOU TRY TO ACHIEVE WITH THIS ADAPTATION? A: I wanted to bring a masterpiece of classical literature to young audiences in a form that would broaden their education and enrich their consciousness. I didn't want to diminish its beauty by altering it however, I wanted to make it more easily accessible to today's young people, something they could successfully study and perform. My hope is that it will kindle an interest in Shakespeare and provide a comfort level that will allow students to continue their pursuit of theater arts as they mature. Q: ANYTHING ELSE YOU WOULD LIKE TO SAY ABOUT IT? A: Some might see Shakespeare as too difficult for younger ages. Rather, I say, challenge our youth, and they will rise to the occasion. Kids can recognize quality and substance when they are exposed to it. Cultivate their tastes when they are young.